Publisher Michael Goldstein shares some of our readers' comments about why they love Gear Technology. The complete Technical Calendar from the September 2012 issue of Gear Technology. The complete Industry News section from the September 2012 issue of Gear Technology. The complete Product News section from the November/December 2012 issue of Gear Technology. The complete Product News section from the September 2012 issue of Gear Technology. You've been to Detroit several times for Gear Expo, so you think you know Motown pretty well. Prove it. Gear Technology has a quiz to test your knowledge of the Motor City. The complete Technical Calendar from the November/December 2012 issue of Gear Technology. If you enjoy working with your hands—without doubt a large segment of Gear Technology’s audience—you must go to robives.com. There you will find one of the most clean-but-serious fun websites on the Internet. It is where you will learn—or re-learn, in some cases—how to create things from paper. Origami, you’re thinking? Nah—mere child’s play. About the time we were midst of planning the editorial content for this issue of Gear Technology, we, like everyone else in the metro area, found ourselves diverted by the Great Chicago Flood. For a week, it seemed to be all we thought about. Then the tunnels dried out, the stores reopened, and we all went back to work. 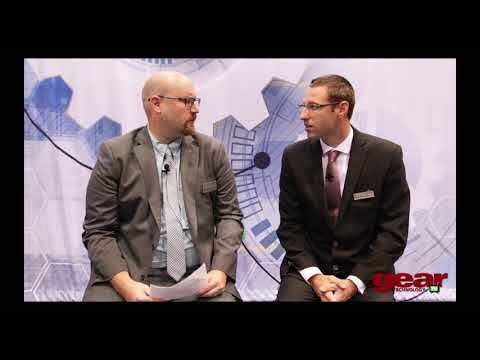 8 Gear Technology advertisers will have booths at IMTS 92, the largest trade show in the Western Hemisphere. The show opens in Chicago on Sept. 9 and runs through the 17th. More than 800 companies from around the world will cover some 931,000 sq. ft. of exhibit space to show the latest manufacturing technology - everything from forming and fabrication products to environmental and plant safety equipment. Sub: 'Finding Tooth Ratios' article published in Nov/Dec 1985 issue Let us congratulate you and Orthwein, W.C. for publishing this superb article in Gear Technology Journal. We liked the article very much and wish to impliment it in our regular practice. The complete technical calendar from the September/October 1986 issue of Gear Technology. The complete Technical Calendar from the July/August 1987 issue of Gear Technology. Forty of Gear Technology's pre-show and show issue advertisers will be exhibiting a wide range of goods and services at AGMA's Gear Expo '93. The exhibition will be held October 10-13 at Cobo Conference & Exhibition Center in Detroit, MI. Below is an alphabetical listing of these advertisers and a preview of what can be seen at their booths. The complete Technical Calendar from the November/December 2011 issue of Gear Technology. Putting one's best foot forward is important for successful business communication. And successful business people know the "rule" of the game, what it say and do in business situations, to make the best impression. However, these rules change from country to country, and what is appropriate behavior here may appear rude to someone from Latin America, Europe or Asia To help you become more familiar with some of the different rules of engagement in other countries, Gear Technology spoke with three businessmen who have had extensive contact in various part of the world. When you're 15, you're filled with confidence and exuberance, and you have a future full of potential and room for growth. You're ready to take on the world. Gear Technology began publishing exactly 15 year ago, with the May/June 1984 issue, and the magazine has grown in many ways since then. The technical Calendar from the June 2017 issue of Gear Technology. The complete technical calendar from the September/October 2017 issue of Gear Technology. The complete Technical Calendar from the March/April 2019 issue of Gear Technology. The complete Industry News section from the March/April 2019 issue of Gear Technology. The complete Technical Calendar from the January/February 2019 issue of Gear Technology. The complete technical calendar from the September/October 2018 issue of Gear Technology. The complete technical Calendar from the January/February 2014 issue of Gear Technology. The complete Industry News section from the June 2014 issue of Gear Technology. The complete Technical Calendar from the June 2014 issue of Gear Technology. The complete Product News section from the June 2014 issue of Gear Technology. The complete Calendar from the October 2013 issue of Gear Technology. The Addendum team thought it fitting to celebrate George Orwell's 1984 with the 30th Anniversary of Gear Technology. We do not condone the extreme tactics discussed in this fictional press release unless instructed by the proper authorities. The complete Product News Section from the May 2014 issue of Gear Technology. The complete Technical Calendar from the May 2014 issue of Gear Technology. The complete Industry News section from the May 2014 issue of Gear Technology. The kid who wants to be just like his gear-loving dad when he grows up will hit the jackpot this Christmas if Santa uses Gear Technology’s holiday buying guide. The complete Product News section from the November/December 2004 issue of Gear Technology. The complete Product News section from the September/October 2004 issue of Gear Technology. The complete Industry News section from the January/February 2009 issue of Gear Technology. The complete Product News section from the January/February 2004 issue of Gear Technology. The complete Industry News section from the September/October 2004 issue of Gear Technology. The complete Industry News from the November/December 2005 issue of Gear Technology. The complete Industry News section from the May 2009 issue of Gear Technology. We love gears. We love talking about gears, writing about gears and examining gears. If you’re reading this cover to cover, it’s a safe bet you feel the same way. We also love collecting information for Gear Technology’s holiday buyer's guide. Call us sentimental. The complete Industry News section from the July/August 2004 issue of Gear Technology. The complete Industry News section from the November/December 2004 issue of Gear Technology. The complete Product News section from the August 2009 issue of Gear Technology. The complete Industry News section from the May/June 2004 issue of Gear Technology. When a man looks into a mirror, the image reflects who he is today. But it also reveals who he used to be. Although appearances change, many of the underlying characteristics remain the same. The same is true with Gear Technology, as we celebrate our 20th anniversary and reflect on who we are. Technical calendar from the August 2009 issue of Gear Technology. The complete Product News section from the September/October 2009 issue of Gear Technology. The complete Industry News section from the September/October 2009 issue of Gear Technology. The complete Industry News section from the August 2009 issue of Gear Technology. The complete Product News section from the May 2012 issue of Gear Technology. The complete Product News section from the May/June 2004 issue of Gear Technology. The complete Product News section from the July/August 2004 issue of Gear Technology. This article was originally published 20 years ago, in Gear Technology’s first issue. It describes a method of evaluating the smoothness, or lack of smoothness, of gear motion. This lack of smoothness of motion, known as “transmission error,” is responsible for excitation of gear noise and problems of gear accuracy and sometimes has a relationship to gear failure. There’s a bustle of activity as exhibitors prepare for America’s most significant manufacturing trade show. The red carpets are ready, the lights are being tested, and the crowds are gathering with anticipation. 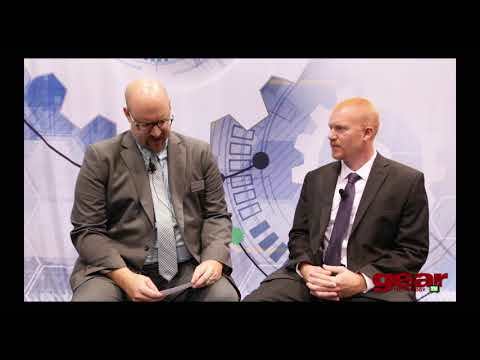 Amid the excitement, Gear Technology has managed to sneak under the usher’s ropes to provide you with this advance look at some of the gear-related products and technologies that will be featured at IMTS 2004. 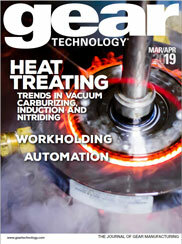 The complete Industry News section from the May 2012 issue of Gear Technology. The complete Industry News section from the March/April 2004 issue of Gear Technology. The complete Product News section from the March/April 2004 issue of Gear Technology. The complete Technical Calendar from the May 2012 issue of Gear Technology. The complete technical calendar section from the January/February 2011 issue of Gear Technology. The complete Product News section from the March/April 2011 issue of Gear Technology. The complete Technical Calendar from the March/April 2011 issue of Gear Technology. This article is part five of an eight-part series on the tribology aspects of angular gear drives. Each article will be presented first and exclusively by Gear Technology, but the entire series will be included in Dr. Stadtfeld’s upcoming book on the subject, which is scheduled for release in 2011. The complete product news section from the January/February 2011 issue of Gear Technology. Bicyclophiles (OK—not a real word, but you get the idea) around the globe may very well know the name, but chances are good that most Gear Technology readers have never heard of Sheldon Brown, AKA—“Gear Ratio,” “Gain Ratio,” “Mouldy Oldie,” “Theory,” “Quixote,” “Fixit” and some the Addendum team probably missed. The complete Industry News section from the March/April 2011 issue of Gear Technology. The complete Industry News section from the September 2011 issue of Gear Technology. The complete Technical Calendar section from the September 2011 issue of Gear Technology. The complete Product News section from the September 2011 issue of Gear Technology. 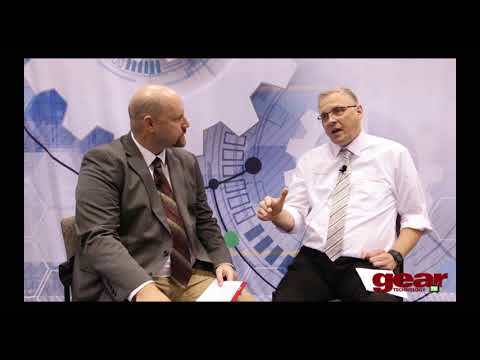 Don't miss Gear Technology's booth #1337 at this year's Gear Expo in Cincinnati. The complete Product News section from the October 2011 issue of Gear Technology. The complete Industry News section from the October 2011 issue of Gear Technology. The complete Technical Calendar section from the October 2011 issue of Gear Technology. The complete Industry News section from the August 2011 issue of Gear Technology. The complete Technical Calendar from the August 2011 issue of Gear Technology. The complete Product News section from the August 2011 issue of Gear Technology. The complete Industry News section from the August 2010 issue of Gear Technology. The complete Industry News section from the January/February 2011 issue of Gear Technology. The complete Product News section from the September/October 2008 issue of Gear Technology. The complete Industry News section from the August 2008 issue of Gear Technology. The complete Industry News section from the September/October 2008 issue of Gear Technology. The Technical Calendar from the August 2010 issue of Gear Technology. The complete Product News section from the August 2010 issue of Gear Technology. ISO 6336 Calculation of Load Capacity of Spur and Helical Gears was published in 1997 after 50 years of effort by an international committee of experts whose work spanned three generations of gear technology development. It was a difficult compromise between the existing national standards to get a single standard published which will be the basis for future work. Many of the compromises added complication to the 1987 edition of DIN 3990, which was the basic document. Publishers of Gear Technology magazine and Power Transmission Engineering magazine. Publishers of Gear Technology and Power Transmission Engineering magazines, as well as the websites www.powertransmission.com and www.geartechnology.com.